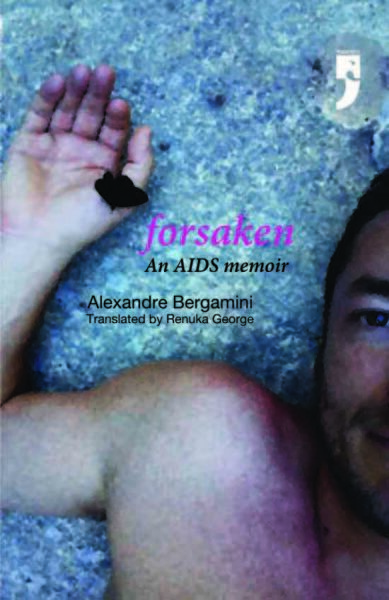 In Forsaken, Alexandre Bergamini draws us into a poetic yet precise account of his personal life- his older brother's suicide; his fraught relationship with his father who is ashamed of his son and his sexuality; his travels; his sexual encounters; and his struggle to undergo treatment for HIV without caving in psychologically- even as he sets out to explore the more general problem of 'contaminated blood'. What comes to light is a devastating narrative of medical negligence and misappropriation of funds that led to the explosion of the AIDS pandemic during the 1980s with the gay community right at its very centre. At once an intimate account and a political pamphlet, this shattering book pushes the reader to address the important issue of treatment with dignity, while painting a vivid picture of what it is to live as a gay and HIV-positive individual. Ultimately, though, Forsaken is a testimony to being able to rise above it all after facing adversity of the worst kind, and thus free ​of disease, to experience once again the joy and peace of being part of this world.